Many stores which traditionally played in the retail space have recently branched out into offering financial services. Woolworths is no exception to this trend. 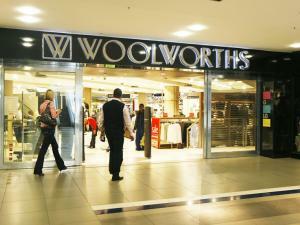 While Woolies used to only offer clothing and food to consumers, they have gradually expanded their offerings. They introduced home ware some time ago, then cellular services. Fairly recently, they have branched into offering a full spectrum of financial services as well. Woolworths offers car, home and household insurance, as well as personal accident cover, a car touch up policy, travel insurance and “HIV Assist”. Included in car insurance is an Emergency Assist feature, whereby home, road, medical, trauma and legal assistance is available to you when you require it. There is also an option to have Tracker installed, which would be taken care of by the insurer, as well as to have car hire should you be in an accident or have your car stolen. Woolworths also offers up to 25% on your premiums if you have not claimed after 4 years. Woolworths offers credit cards to use at Woolworths, but also that can be used at any other store or pay point. There is a Silver, Gold and Black card, which is primarily based on how much you spend at Woolworths each year. The benefit of using this credit card as opposed to a regular bank issued credit card, is that you earn benefits and get discounts at Woolworths on certain items. The store card is slightly different in that you can only use this at Woolworths, but it still acts as accredit facility for Woolworths purchases. This can be an effective way of controlling your grocery spend each month, as long as you are disciplined about the amount you can spend! Woolworths also offers a myschool card to customers, allowing them to contribute a percentage of their purchases to a school of schools of their choice. Woolworths Financial Services is designed to make life easier and to consolidate the amount of administration customers need to deal with. For busy people who work and have families, this is a great way to simplify their lives!